يحظى فندق Oaks Mon Komo Apartments بمكان متميز في محور بريسبان برامج عائلية, سياحة, شواطئ في منطقة ردكليف بينينسولا الفاتنة. يسهل الوصول إلى هذا الفندق ذو 4 نجوم من المطار، فهو يبعد عنه مسافة 30. Km فقط. بالنسبة لمن يريد الخروج، هذه بعض المعالم السياحية المتوفرة للزوار مستشفى بنينسولة للعيون, مشاهدة الحيتان في بريسبين, ساحة عرض ريدكليف. ببساطة كل الخدمات وأساليب الضيافة التي تشتهر بها Oaks Hotels & Resorts تجعلك تشعر وكأنك في بيتك. يقدم الفندق تخزين الأمتعة, صف السيارات, غرفة عائلية, تأجير سيارات, مطعم لضمان الراحة القصوى لضيوفه. تتضمن كل غرف النزلاء وسائل الراحة والتسلية المصممة خصيصاً لضمان الراحة القصوى للضيوف. يمكنك الاستمتاع بالأجواء المريحة التي تقدمها مركز للياقة البدنية, حمام سباحة خارجي طوال النهار. مهما كانت دواعي سفرك فإن Oaks Mon Komo Apartments هو خيار ممتاز لإقامتك في بريسبان. سيتم فرض رسوم معاملات على بطاقات الائتمان بنسبة 1.5%، وذلك فيما يتعلق بجميع مدفوعات بطاقات الائتمان/المدين التي يتم إجراؤها لصالح "فنادق ومنتجعات أوكس" (Oaks Hotels & Resorts) بصورة مباشرة. يُرجى العلم بأن موقف السيارات يجب حجزه مسبقًا قبل الوصول بسبب محدودية الأماكن. ويُرجى الإخطار عند الحجز بما إذا كنت تحتاج إلى مكان لانتظار السيارة أم لا. يُرجى العلم بأن ساعات عمل مكتب الاستقبال هي: الأحد إلى الخميس: 06:00 صباحًا - 10:30 مساءً / الجمعة والسبت: 24 ساعة. مطلوب مبلغ تأميني من البطاقة الائتمانية قيمته 1 دولار أسترالي عند تسجيل الوصول لتغطية أي رسوم أو أضرار أثناء الإقامة، وسوف يكون ردها عند المغادرة. Great location and near to shopping, beach and restaurants. Well equipped unit with two rooms and 1.5 toilets. Ideal for 4-5 persons. Will definitely return if in the Redcliffe area. Highly recomended. The staff are very friendly and accommodating; The rooms are clean and modern; The location to shops and facilities in the general location is perfect. 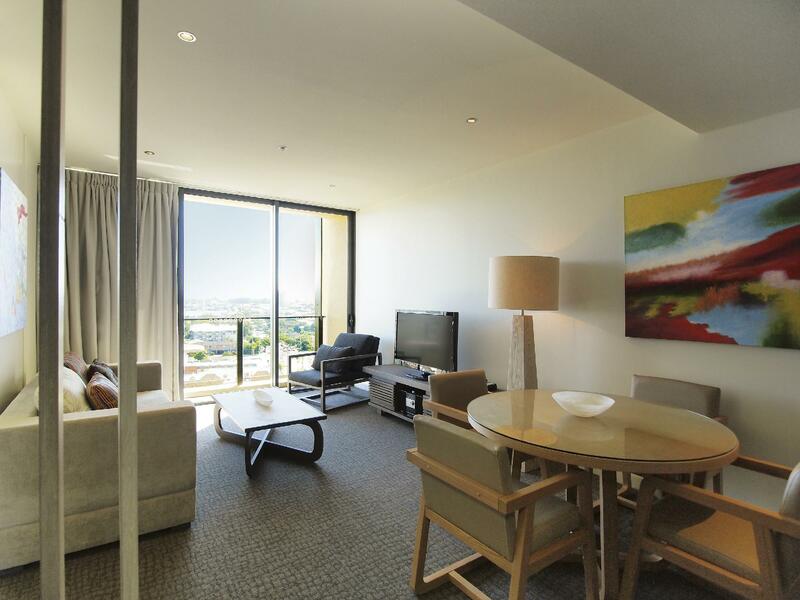 My wife and I have stayed at Oaks Mon Komo on several different occasions and, for this location, I will not stay elsewhere- even if sometimes it is slightly more expensive than the others in the area. Rooms were pretty good, bed was excellent. Meals at restaurant were okay - excellent fish with okay sides. Drink voucher [2 for 1] made drinks reasonable. Breakfast only just okay. Very pleasant stay with all the facilities attached. Wonderful roomy apartment with lovely decor. 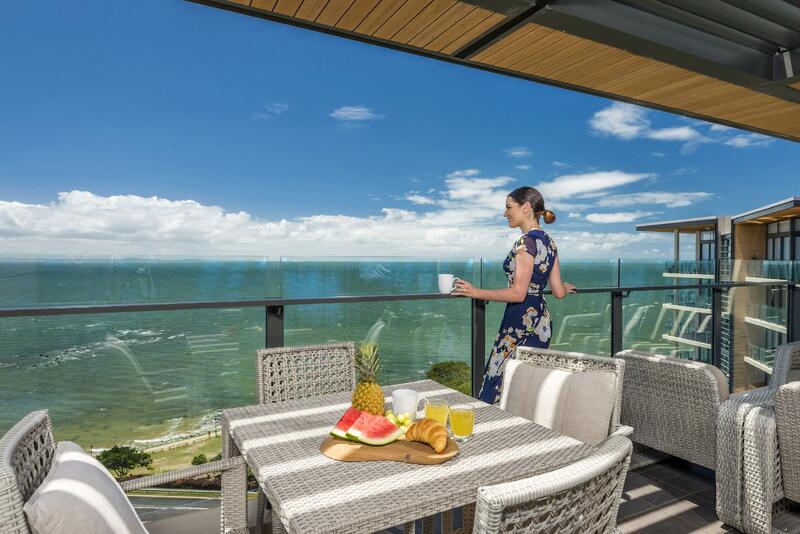 The large balcony was perfect for sitting and viewing the amazing scenery which looks out to Moreton Island. Great facilites below with cruisey outdoor bar and restaurant. Highly recommended. I was truly surprised when I checked into this hotel. While 'ocean view room' did promise some great views I did not expect my room to be so spacious, nicely decorated and very clean. Hotel staff were very accommodating and extremely helpful! Would definitely recommend this hotel for a weekend or a week away with your family and friends or even for the business events. 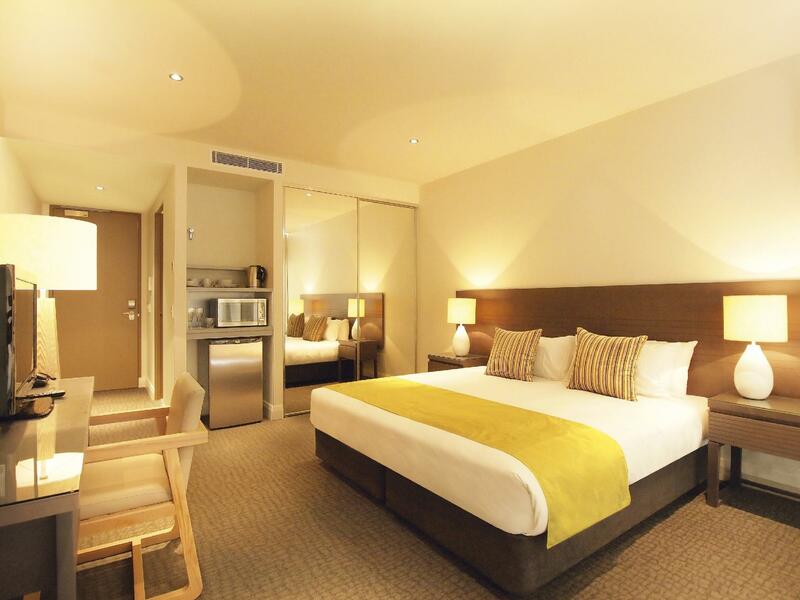 Position to CBD, beautiful suite, great staff. I would like to congratulate the staff for all the help and effort they put in to helping with our comfort and pleasure. 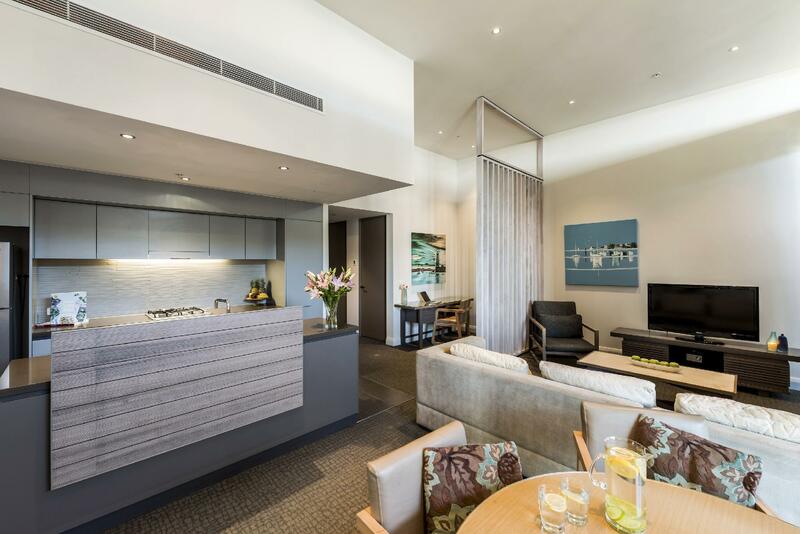 I thoroughly enjoyed staying at Mon Komo and will definitely recommend this to others. Spacious, very clean, great service. Hotel located in an ideal spot shops are just door step yet the area is very peaceful, staff were friendly, housekeeping service was outstanding. Room was spacious, very clean, modern, making us is feel like home during out stay. 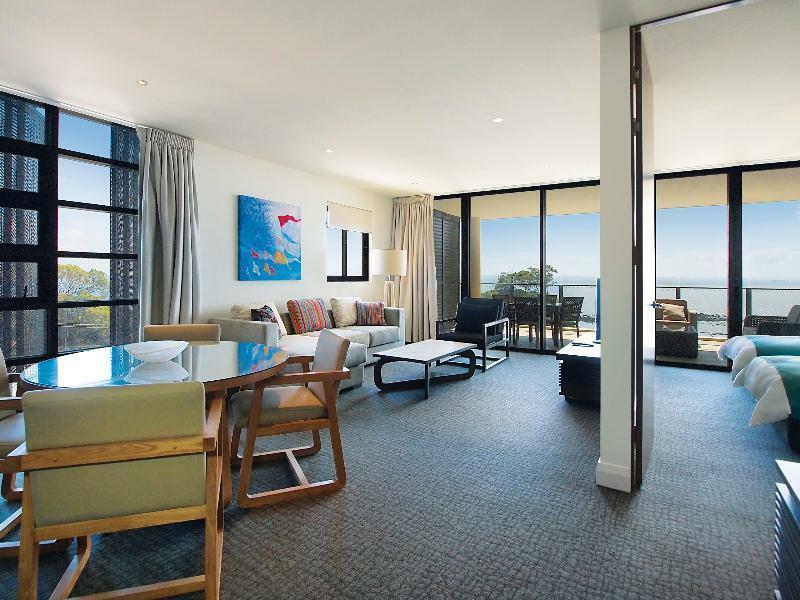 Although the rooms don't quite look like the photos (and balcony furniture missing), the location is perfect for anyone who wants to be central/near restaurants/jetty/beach pool. Not the best value for money but the selection is limited in Redcliffe to begin with. Perfect for a short stay but nothing to rave home about. Great location and place to stay for larger families. Well located property with great amenities . Fabulous Latino within walking distance of cafes and beaches and boardwalk. Air con wasn't cold and didnt work in the bed room but in the main room. Also wifi wasn't accessable because apparently my room didn't exist. Parking is complicated and can't work out which elevators to use and its taking a long time for my deposit to be put back into my account. Not good front desk girl was rude we had to pull an extra $150 for a room deposit which we only had in cash. Friends got a free upgrade we has a small room and ask for bottlw of wine or rose pettle we were told rudely!!!! WE DONT DO THAT!! its was valentines day it was definately not worth 170 a night wont be back ! !